You probably associate Celiac disease—the autoimmune disorder where gluten (the protein in wheat, rye, and barley) damages the villi (small finger-link projections that line the small intestine)—with gastrointestinal awfulness like diarrhea and stomach pain. But brace yourself—there are actually close to 300 symptoms that Celiac can set off, according to The University of Chicago Celiac Disease Center, and they can run the gamut from psychological to physical to neurological. “Some patients have strange symptoms, like early menopause or thinning hair, but don’t associate them with celiac disease,” says Sonia Kupfer, MD, assistant professor and member of the Celiac Disease Center. According to the Celiac Disease Foundation, the condition may affect 1 in 100 people, so it’s important to ID the hidden—and bizarre—signs that you may be suffering. Even if these symptoms sound familiar though, you shouldn’t ditch gluten completely on your own and see if you feel better. Make an appointment with your doctor and ask about getting the simple blood test that detects the disease. (If you stop eating gluten before you take the test, the results won’t be as accurate). If a blood test has revealed your body is running low on iron—the mineral that helps make hemoglobin, a protein in red blood cells that ferries oxygen around the body—Celiac may be the cause, since iron gets absorbed in the part of the small intestine damaged by the disease. “Women often think it’s their period that’s causing the iron deficiency, but that may not always be the case,” says Kupfer. Doctors don’t always make the connection between Celiac and more vague symptoms like anemia, but one study found that one-third of patients diagnosed were anemic. If you’re experiencing symptoms of anemia, like fatigue and weakness, ask your doctor about running an iron level test, and if yours turn out to be abnormally low, consider being tested for Celiac. Why’d you walk into this room? What were you about to do? Sure, we all have those brain blip moments, but if brain fog happens often and you can’t attribute it to other causes (like stress), it could be Celiac. “Antibodies produced by the body in response to gluten could be related to neurological symptoms, but exactly how this works isn’t understood,” says Kupfer. If you do have Celiac, a gluten-free diet may help you feel more on the ball. 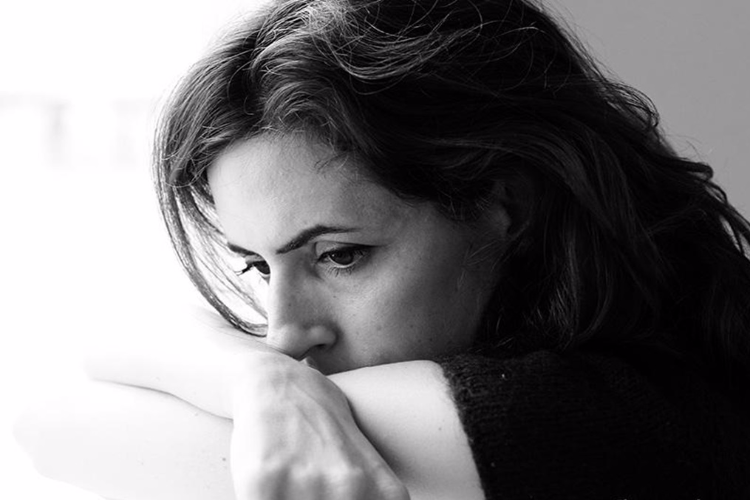 “Depression and anxiety are common in Celiac,” says Kupfer. “It may be related to inflammation caused by the disease, or simply the fact that you’re not feeling physically well,” she says. She has patients who report their mood gets better on a gluten-free diet. Still, because depression and anxiety are so common in the general population, Kupfer doesn’t suggest getting screened for Celiac if this is your only symptom. However, if you notice this and others on the list, it might be time to have that talk with your doc. A 2014 review in the Journal of Clinical Endocrinology & Metabolismfound that Celiac sufferers have a 30% increased risk of having any type of fracture compared to individuals without Celiac; more specifically, a 69% increase in risk of a hip fracture. That’s possibly because nutrients like calcium are not as well absorbed in the damaged small intestine. Pay particular attention to this symptom if you’re suffering from signs ofosteoporosis at an early age, like bone fractures or posture problems. Maybe you’re a bit unsteady when you stand or you’re stumbling often when you used to walk just fine. Balance issues and other symptoms like numbness and tingling in hands and feet are all neurological problems associated with Celiac. Though it’s not entirely understood why, one 2012 UK study conducted MRIs on the brains of Celiac patients with these complaints and found brain changes—specifically less grey matter density—in areas that affect motor skills and cognition.